We have been here for 2 days and I have not wrote a word. We arrived on Sunday night exhausted from our epic journey overland from Tanzania. A journey that included early morning rising, dalla dalla’s, walking, an epic 4 hour cab journey and a 19 hour train journey. Ach. Malawi is very beautiful; the landscape varies from being very lush; the rubber plantations and groves of banana trees invoking India. It has dramatic up and downs as you are driving across the country and of course the Lake is the cherry on the cake. The lake is a shimmering expanse that stretches as far as the eye can see. I have seen more sunrises and sunsets than I care to mention and there have been some pretty spectacular orange and pink ones which I have attempted to photograph and one day I will upload! On Monday I woke up at 6.30am and headed out for breakfast which is a communal affair here at Butterfly Space. We grabbed our swimming gear and headed to the private ‘beach’ and honestly I have never seen such clear water. I was sitting in the water and could see fish swimming around my body and at one point was nibbled one! The water was so clear that I finally put my face in the water and had a good look at some very pretty turquoise fish. We spent the morning at the lake and headed into Nkhata bay town which was very busy as it was market day. Cue lots of sardines and tomatoes being sold side by side. The next day the lake was incredibly rough, it resembled the sea with large waves, completely different to the clear glass of the day before. Butterfly space where we are staying is a right hippie place, shitting into compost toilets that are open above the waist, cold water showers made out of rock that look over the lake, communal breakfasts and inclusive community project. Toilet was up a small rocky slope- not a fan myself, luckily we were encouraged to water the trees. Owners very nice and friendly. After a horrific journey from Malawi to Mozambique, which involved my card not working in several atm’s and not being to cross the border we had chosen. We ended up in the small town of Mangochi in Malawi and were helped by a very nice civil servant Josiah who found us somewhere cheap to stay and most usefully, an ATM that worked! (Fu lost his wallet & card in the cab coming into Malawi). We ended up on yet another coach that didn’t leave until packed to the rafters, this one had people standing in the aisles as well as the usual rice/ luggage etc. We were introduced this day to bicycle taxi’s- just picture fu and I with our massive rucksacks on the back of these bicycles. Getting over the border was very hard because there was no taxi’s or buses contrary to other borders we had crossed, our two options was a van with the driver being told off for the amount of beer bottles on the car floor or a massive haulage truck. Massive haulage truck it was! Comedy night ensused, we rented someone’s hotel room from them for four and a half hours and finally got on the train from Cuamba to Nampula. Window shopping takes on new meaning in Africa, at every stop people rush to the train with fruit, veg, snacks, chickens, fried food and the others in the compartment rush to buy these via the one window. We found that the bread in Mozambique is excellent and enjoyed ourselves buying various snacks. (I was enjoying Fu’s ridiculous Portuguese accent). So onto Mozambique itself. Well we both love it so far despite not being to speak the language. People are friendly and the landscape beautiful. We are now on Ilha de Mozambique which is the definition of decaying grandeur. Many of the Portuguese mansions and elaborate buildings have crumbled in places; however people continue to live in the shells of past houses. We went on a bicycle tour yesterday- those of you that know my cycling technique can imagine the stopping, starting and general hilarity of me trying to cycle over bumps and not career into playing children, women carrying babies on their hips and boys staring at the foreigner on the local bicycle. At one point a girl came up behind me and pushed me along! Achhhhhhh. Lol. Today Fu went to Goa Island, a beautiful desert island with a lighthouse that is only accessible for several hours a day. I spent the day enjoying the beautiful coast and having a guided tour of the museum and museum of sacred art. The latter delivered entirely in Portuguese. Thank goodness for a Catholic upbringing and some basic Spanish! 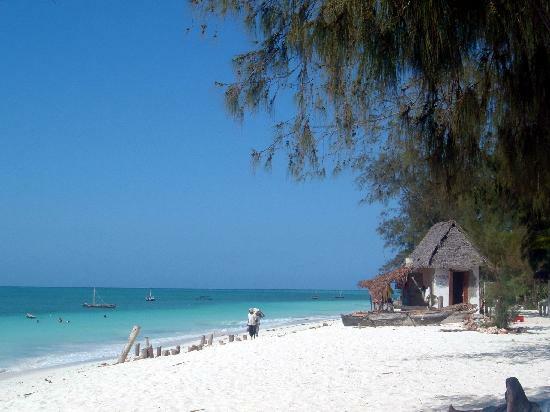 The Island is how I thought Zanzibar would be, and it is both lively and incredibly serene depending on where you are. We are hoping to party hard Latin style over the weekend and then Fu can practice his chat up line ‘Hola minina, tu es muy bonita’ (Hey girl, you are very beautiful). Of course I will not being doing anything of the sort lol. Small note on where we are staying- Ruby’s is gorgeous- beautiful white med style terrace with cerise bougainvillea and lovely rooms. Loving it. M is for Michelle in Mombasa! So its been a while since I last posted. I’ve been having a crazy time. 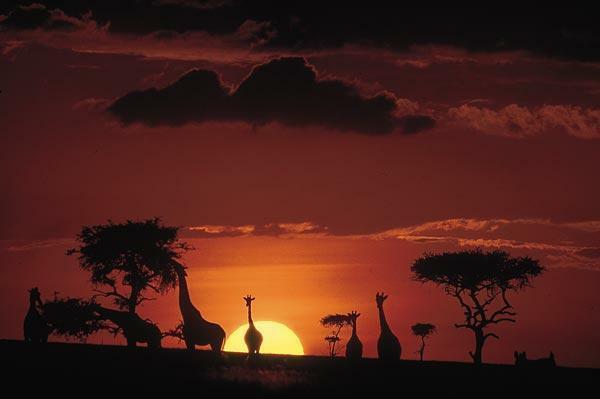 We went to the Masai Mara which was AMAZING! (Blog post to follow). Now we are in Mombasa on the Kenyan coast and I am sitting in a very hot internet cafe in Port Reitz, staying with Connie, who has been feeding us LOTS of amazing kenyan food. Yesterday we had ugali and fish for lunch and then beef pilau rice with coconut cassava. Easily the best food I have eaten in Kenya so far! We left Nairobi early friday evening and I had the beginnings of a dodgy stomach earlier on in the day. We settled into our train- first class doncha know and were called for dinner in the restaurant cabin which was an experience! It was a little bit bumpy to say the least. Fu wasn’t well so I went to dinner alone and was sat with a lovely family. I was immediately put in charge of their young daughter who only spoke German- ACH! But the meal was fun and I enjoyed interacting with them. Unfortunately the story goes downhill from then. I became intimately acquainted with the bathroom over the next ten hours and was feeling both weak, nauseous and grumpy when we arrived into Mombasa. I will say that the ride was certainly an experience but only for those that can sleep like the dead. We were near to the connecting carriage and the jangling noises were a bit too close for my delicate self. However, it was lovely to see the sunrise in the morning and to see village life wake up as the train wound closer to its destination. We got a cab to Mombasa Backpackers in Nyali and were given a dorm room outside. Outside meant cane walls and a roof. Luckily it is really warm here so cold nights weren’t a problem. We spent all of sat recovering , being a bit grumpy with our various ailments and mostly drinking fluids in my case. I had an excellent nights sleep that night despite sharing our room with a load of go getting business students determined to do everything they can in mombasa in as little time as possible. Sunday was our best day in Mombasa because we met with Hattie’s friend Sadiki, and we started to have a proper Michelle type day. We went to Fort Jesus and I took lots of pics, we went on a tour of the old town which was very lovely. I had another mare trying to get Laura Blizzard pics printed but finally got it done. We then went to pirate’s beach which is everything you think of when you think tropical beach- white sand, clear turquoise water and sun. Sadiki and I chilled on the beach while Fu and our new friend Kat went swimming and on a catamaran. I am yet to do some swimming but plan to soon when we go to Diani beach tomorrow. Today we have been wandering around Port Reitz school, looking at their school garden and speaking to children when we can. It it is very warm here and I am eaily worn out (haha maybe that is not just the heat!). You can see the Indian Ocean from Connie’s house and I have been sitting outside this morning looking at the beautiful blue sky and hearing reggae from her neighbours house. Its been a little bit emotional being at Connie’s house because it makes me miss Hattie but I am having a good time and hopefully my stomach will stay still for a while yet. So I arrived in Nairobi and I realised that I didnt have any money for my visa. Whoops. However, in my spirit of resourcefulness I asked some people on the plane what to do and got some money out at a cashpoint. However the cashpoint gave me shillings (Kenyan currency) and not dollars/ euros/ sterling- which are the prefered methods of paying for your visa. Ach ach ach. I got it sorted and when I got my luggage, Fu was there on the other side and he had arranged a lift and a place to stay for the night. (I have a four poster bed and an en suitse). So the smoothness continued. Excellent. So today Fu and I have been out and about in Nairobi with new friend Yasin- we have taken lots of buses, both matatu’s (small mini buses with loud music and sometimes cramped conditions- the BACE crew will know what i mean) and other buses which are bit like American school buses. We have had a busy day, Fu got his yellow fever jab at Nairobi University Hospital for 25 whole pounds; the details and downpayment for our Masai Mara trip were sorted: 3 days, Monday to Weds coming; we went to a local dentist with Yasin and watched lots of Nigerian soaps there- Mom & me is JOKES; had lunch; and finally we got into the front seat of a matatu on the way back to the hotel for the princely sum of 38p and I had loud Congolese and reggae music blaring into my face all of our short journey. I wont be doing that again!